The formal process for thinking about the future of 787 -- the I-787/Hudson Waterfront Corridor Study -- has been in progress for years. And now it looks like there's a product. Learn about the study findings, progressed and potential strategies, and provide your thoughts on the study's report. This public open house will exhibit informational boards, invite your input on the report, and provide a presentation about the study findings by the project team at 4:30 p.m. and 6:30 p.m. on Tuesday, March 13th. The content of each presentation will be the same. The open house is from 4-7:30 pm in the auditorium toward the rear of the APL branch. 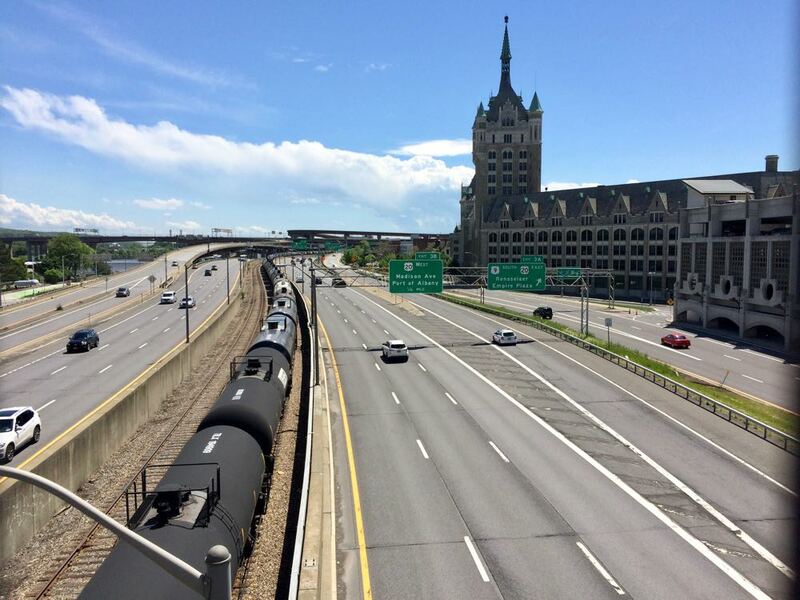 This report -- headed up by the Capital District Transportation Committee, in collaboration with the state Department of Transportation and the city of Albany -- is the culmination of a process that started in 2014 and has moved slower than originally expected. "This has been a very complex and complicated process," he said. "There are many stakeholders with legitimate but sometimes opposing views, including residents who want better access to the waterfront, commuters who need access to jobs in the downtown area, and infrastructure managers who have invested millions of dollars to maintain a safe and efficient transportation system. As transportation planners, it is CDTC's responsibility to identify all these different viewpoints, to address as many concerns as possible, and to develop a consensus which is both achievable and aspirational." Franchini acknowledged the process has taken a long time -- its roots stretch all the back to October 2014. "But we only get one chance to get it right, and we would rather get it right than hurry and get it wrong." As we wrote back then, this study represents just the very first step in what will almost certainly be a long, difficult process of possibly shaping a new future for 787. If that's something you care about, this is an opportunity to show up and make your voice heard. + Whatever happened to that study about the future of the I-787 corridor?